This year I was involved in shooting The Killers’ music video for the Christmas song “I feel it in my bones”, although as in the 2nd Unit DoP’s guise only. Giorgio Testi (2nd Unit Director) and I shot all the band’s footage behind the bleachers of the Manchester Arena in Manchester the day after the band’s cancelled show, just before they travelled to Blackpool for other engagements. I have to say I had a blast shooting them, they were incredibly nice and it was a cool informal set. I was asked to deliver a Ninety-eighties look. I believe I have achieved it, but judge it for yourself. The kit was minimal, we were only a crew of two, the director and myself. Production was co-ordinated by Pulse in London. Change the stream quality on the drop-down menu to watch it HD! 2nd Unit Footage Shot on a Canon 7D with Canon 16-35mm and 70-200mm EF Zoom Lenses. “Interactive Lives” the art film/commercial by artist/director Yi Zhou for the Italian luxury brand Hogan is now officially being released on their website. Waiting for the response from the 50Kisses judges, Unbearable has been unveiled and is now available to see on Vimeo – therefore I added a link to that same video from my ‘works’ page. We shot over a period of two days between Finsbury Park and Wimbledon in London. I had a basic Alexa kit with me with Cooke S4 Primes and a Zeiss Arri Media 60mm macro lens as well as a set of diopters to keep the background well out of focus in most shots. The interior location where we shot was very tiny and every movement was like playing Tetris. The traveling shots were achieved using a simple 3 foot slider. I rated the Alexa 800ASA as I usually like to do and used a combination of IRNDs, NDs, POLA and Hard Grad NDs to cut the light down to my preferred T-stop that ranged from T2 to T3.5, although I tried to keep it consistent at T2.8 for most shots. We were very lucky with the weather so I was able to use natural light only with a little bounce from a poly or shiny board during the shop and car scene. We used the steadicam for once shot only, the one following the hand approaching the shop window. Our bears were generally very calm and patient. 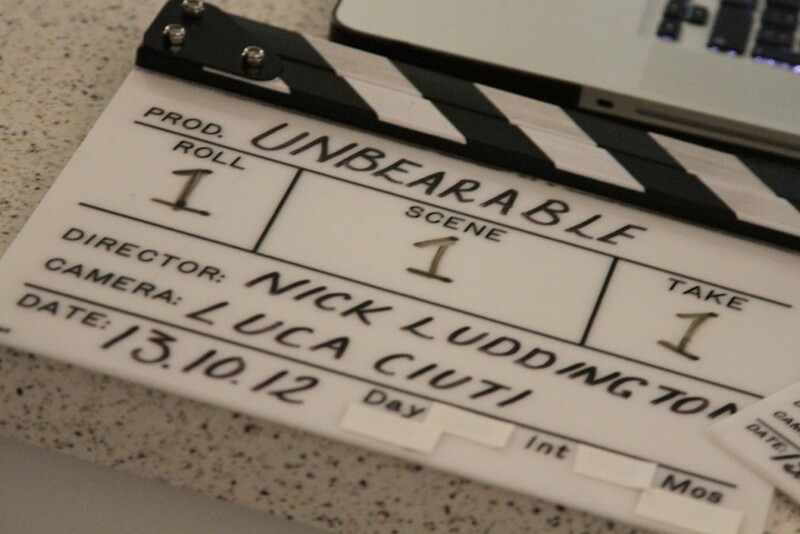 Shooting Unbearable was a fantastic experience and the whole process from pre to post production was incredible, everything fell into place as if this was meant to be. All the HODs have done an amazing job with the bare minimum and no time at their disposal. Nick Luddington, our writer director is a joy to work with as well as our beloved producer Emma Sturgis. Clare Porrit our production designer couldn’t have found better looking bears and made those sets come to life. Riccardo Servini edited it with class and Josephine Stephenson our composer couldn’t have written a better score for it. We tried our best to cut Paddy Ferrante and Katie Sheridan out of frame or to make them blurry but they still manage to deliver a great performance. I also want to praise the work of my crew that have been invaluable in making this little gem happen: Ayoub Lamrani, gaffer; Iain Mackay, camera operator; Leo Winslow, focus puller; Jack Bentley and Chris Alexander, assistants camera. A final thanks goes to Dean De Beger at Arri Media for his technical support as well as to Matthew Osbourne at MPC for the fantastic grade. Let’s hope we make it to the final selection and end up in the cinemas next Valentine’s day. A few backstage pictures below (thanks to Nick Hardie for the fantastic reportage). 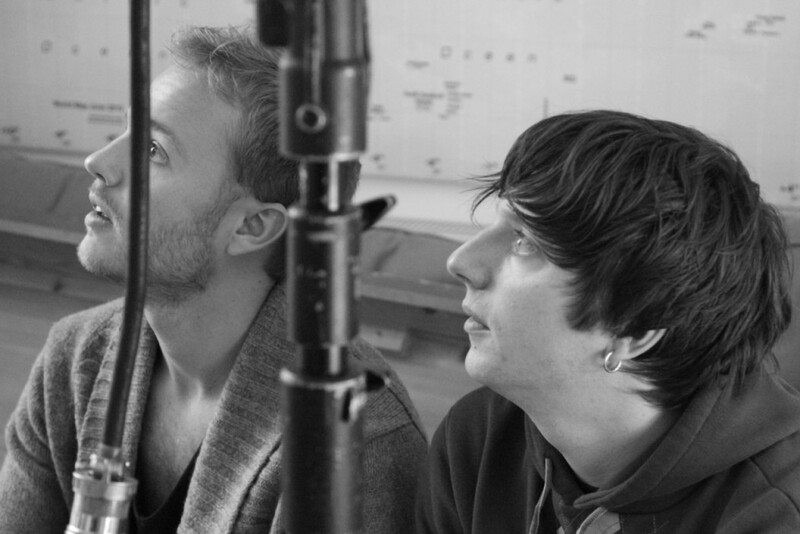 Me and director Nick Luddington eying a shot. 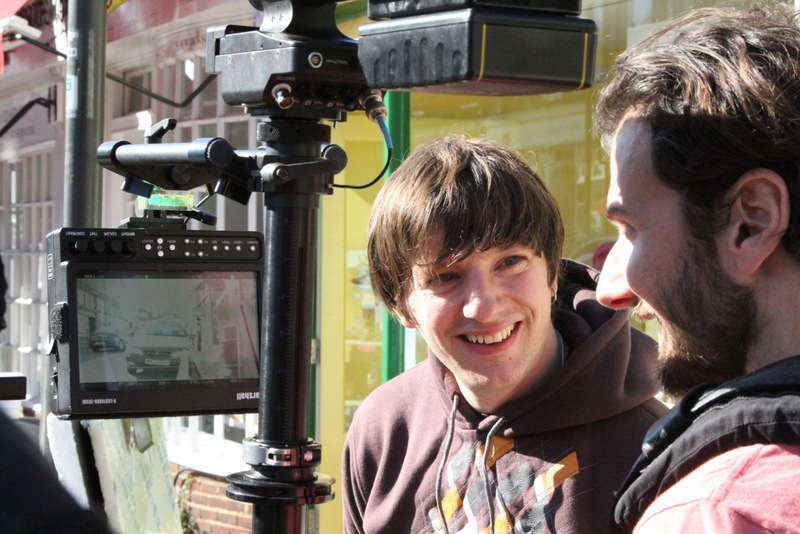 Me and camera operator Iain Mackay on location in Wimbledon.